Do not purchase this flexplate unless you are buying one of our rotating assemblies or short block kits. This is an upgrade for those that have purchased a rotating assembly or short block kit from our other listings. To be perfectly clear, this ad is NOT for the stand-alone purchase of this item. This is an upgrade only available to customers that have purchased one of our rotating assemblies or short block kits. Do not click the buy it now on this item unless you have a rotating assembly or short block kit already in your shopping cart. This is a very low cost upgrade and may be required when racing your car at certain tracks. The flexplate that comes with this assembly is a heavy duty plate, but the SFI certified plate is one step up in quality and safety. 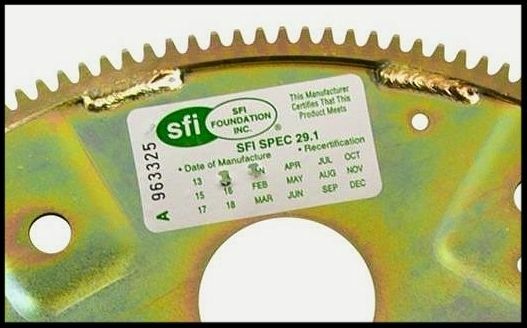 This SFI plate is made in North America. We noticed these have much less run-out and warpage than we see with many other plates on the market. Plates with too much run-out and warpage can cause a host of problems for your transmission and starter, and affect balancing. The low cost to upgrade to this is well worth, it in our opinion. Please be sure of the number of teeth you need on your flexplate. 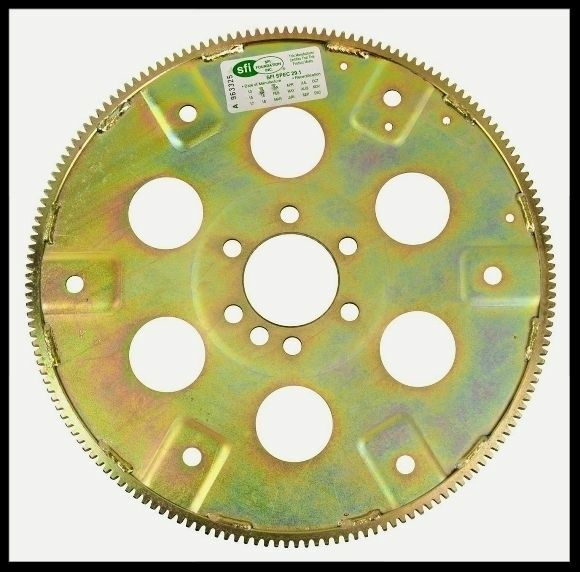 This upgrade is for a 168 tooth SFI flexplate. NOTE: THIS IS AN UPGRADE FROM OUR REGULAR HEAVY DUTY FLEXPLATE THAT COMES WITH OUR ROTATING ASSEMBLIES AND SHORT BLOCK KITS. THIS ITEM IS LISTED IN OTHER LISTINGS AT FULL PRICE AS AN OUTRIGHT PURCHASE. To be perfectly clear, this ad is not for the stand-alone purchase of this item. 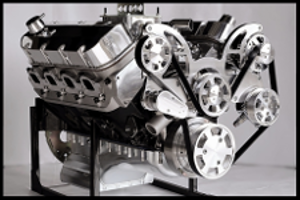 This is an upgrade only available to customers that have purchased a rotating assembly or short block kit.